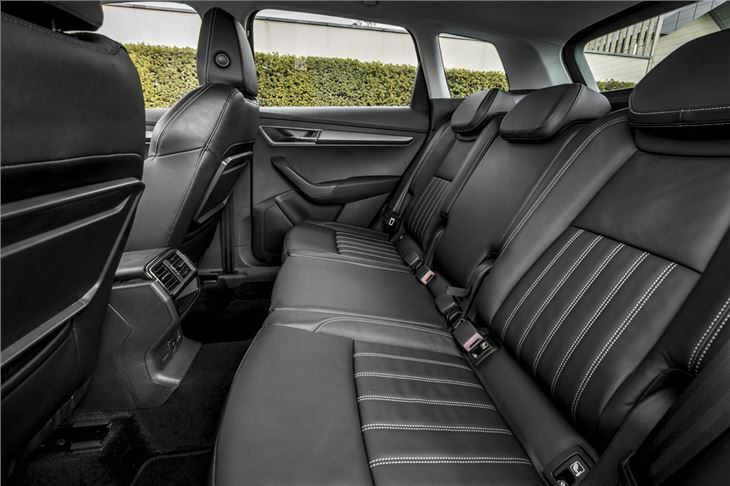 High quality interior with a premium feel. Very practical with a large boot. Quiet and comfortable on the move. One of the best crossovers around. Not the most dynamic of designs. Still concerns over possible DSG problems on smaller engined models. If the Karoq looks distinctly familiar, that's no surprise given that this is the Skoda version of the SEAT Ateca. 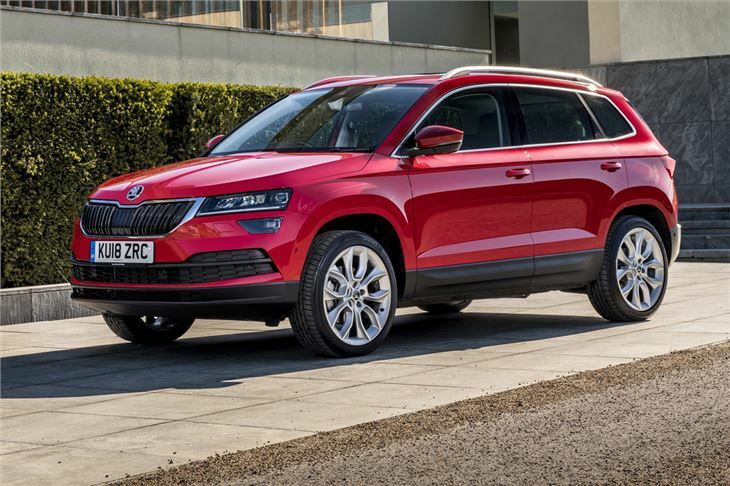 With the popular Yeti, a car loved by owners, now gone, Skoda is effectively replacing it with two models - the Karoq and the smaller Kamiq. Of course there's no shortage of crossovers this size and the Karoq is competing in a very crowded market. So what makes it stand out? Well we wouldn't say it's the most distinctive of designs. It's neat rather than daring but Skoda does offer a Sportline model which looks the part with vRS-style sports bumpers and bigger wheels. 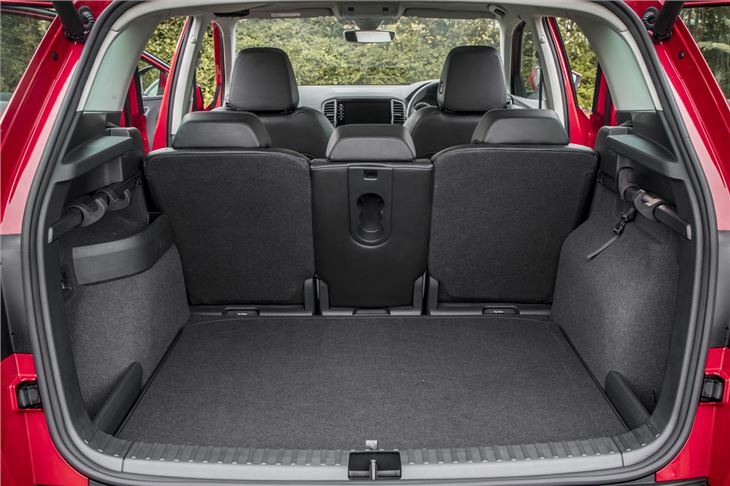 But what the Karoq does offer is plenty of space. The boot is huge at 588 litres - that's more than a BMW 5 Series Touring - and the wide opening and low load lip make it easy to load things like pushchairs in the back. You can also get a double-sided boot mat as a £50 extra which we'd say is a sound investment. 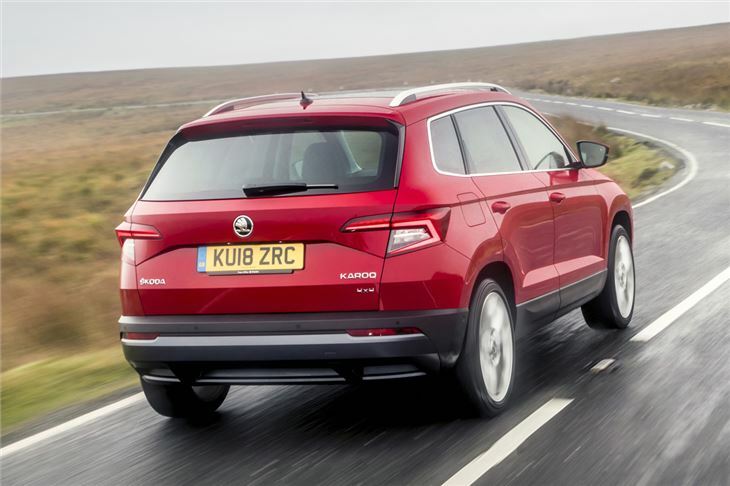 Skoda's 'simply clever' features make the Karoq easy to live with too, the ice scraper in the fuel filler cap being one of our favourites, along with a useful hook system in the boot that means you can bags of shopping. 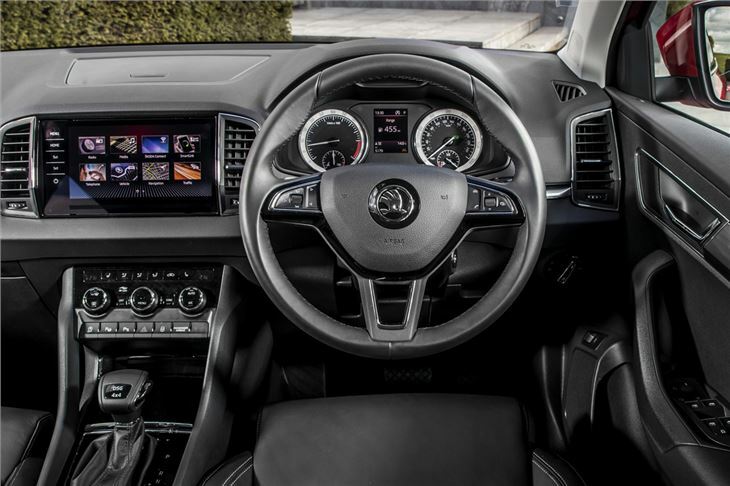 It's perhaps the quality and feel of the interior which makes the Karoq a level above much of the competition. You can easily stick an Audi badge on the steering wheel and it wouldn't be out of place. 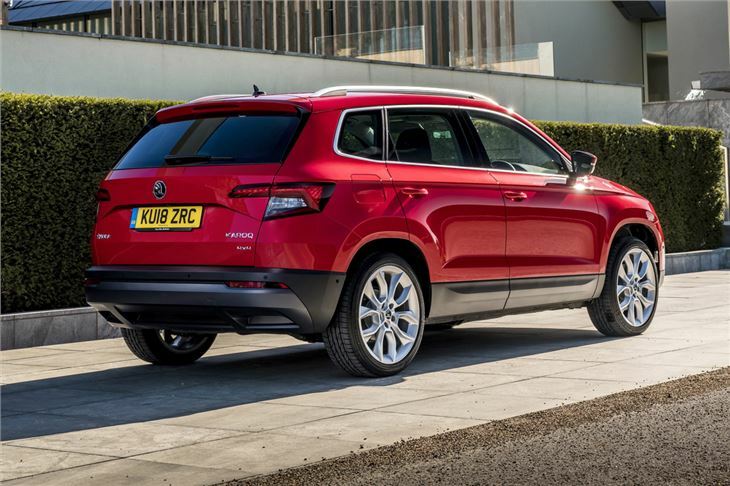 Compared to the Qashqai or Sportage, the Skoda feels far more modern and even the Ateca feels a little dated when you compare the two. 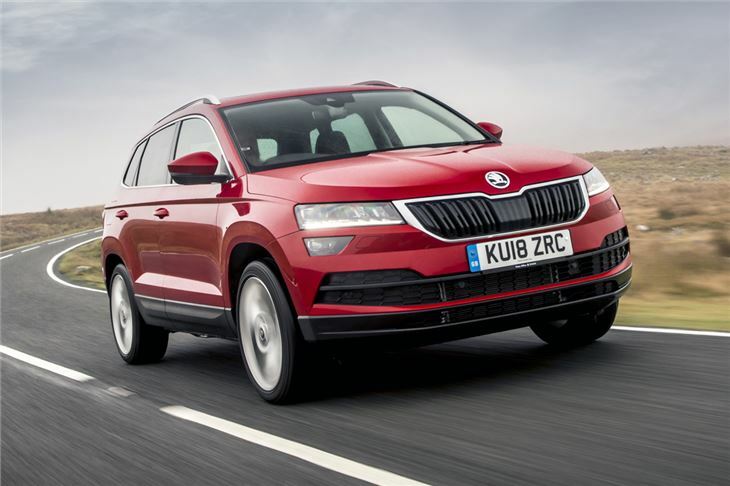 Driving the Karoq is a familiar Skoda experience. And that's a big positive. It's undemanding and relaxing to drive with a solid gearchange on manual cars and little noise on the move, even at motorway speeds. It's not especially exciting but it handles well nevertheless with good feel from the nicely weighted steering. While there's no shortage of choice if you're after a family crossover, the Karoq manages to stand out. It feels a quality vehicle, the interior is excellent and it's good to drive too. Top models are pricey but the Karoq competes well with rivals like the Peugeot 3008 on price and standard specification. If you're buying a crossover - definitely check out the Karoq before making a decision. First time Skoda owner, everything works and all controls are in the right place, and comfortable ride. Great car, very comfortable ride, I would recommend.